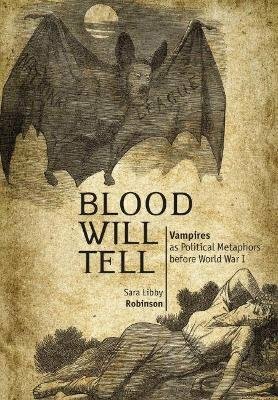 "Blood Will Tell" explores the ways in which writers, thinkers, and politicians used blood and vampire related imagery to express social and cultural anxieties in the decades leading up to the First World War. Covering a wide variety of topics, including science, citizenship, gender, and anti-Semitism, Robinson demonstrates how sin which rhetoric tied to blood and vampires permeated political discourse and transcended the disparate cultures of Great Britain, France, Germany, and the United States, forming a cohesive political and cultural metaphor. It is an excellent resource for students of nineteenth century cultural history and for those interested in the historical roots of the West's obsession with vampires.